The Aspect XL is a top quality infrared heater, designed for heating larger spaces such as garages, shed and sheltered outdoor areas like covered patios and terraces. 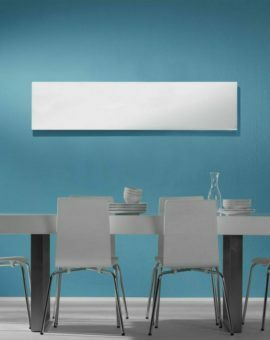 It is produced by Herschel, a leading manufacturer of infrared heating products. 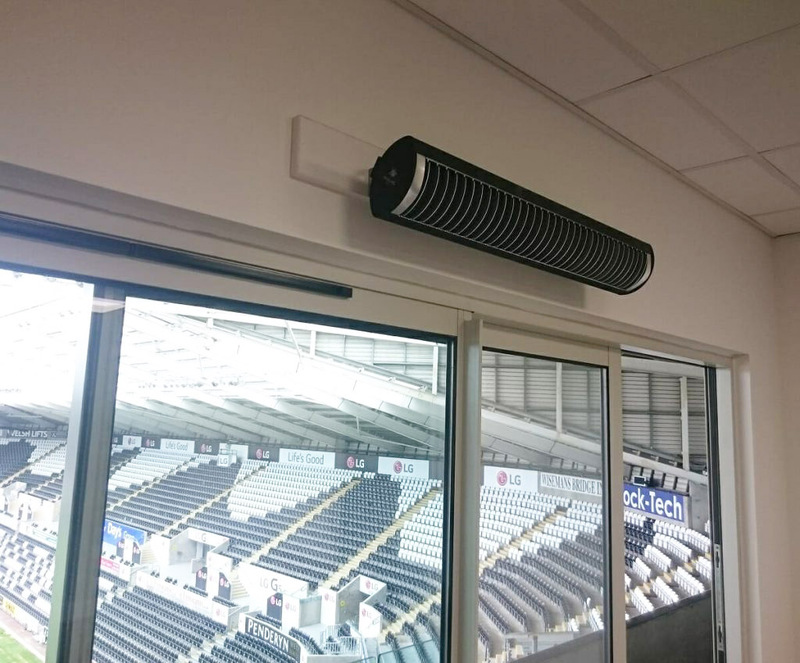 Unlike convection heaters, these infrared units heat the surface area of objects as opposed to large volume spaces, making them far more efficient and cheaper to run – especially in large open spaces. 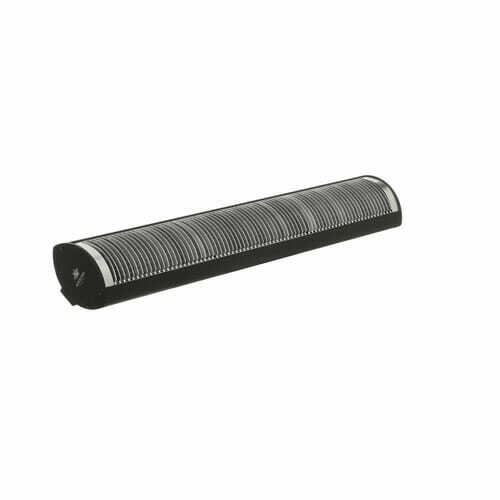 Made with top quality ceramic heating elements, the Aspect heaters come with a grill as standard and is available in 1300 Watt and 1950 Watt units. Restart a control that is in “Open Window” mode. The power of the iQ Hub and app becomes really apparent when you want to extend your system. You can add another hub on a separate network and manage the iQ devices on it. This means (for example) you could manage your home and office heating on the same app. You can share management of one or more hubs with another mobile phone (e.g. spouse or colleague). Because device and control data is held on the hubs and iQ devices, it doesn’t matter if you lose your phone or want to upgrade it. Just download the app to the new device and re-pair. Click here to download the iQ Hub and App Installation and Usage Instructions. Note: Herschel will only warrant iQ controls to work with Herschel heaters. *Attempted use with any other heater brand will invalidate the warranty. 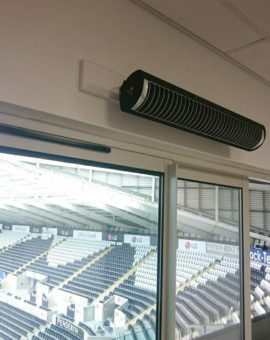 MD1 is wired directly to the mains circuit and to the heaters and requires recessing into the wall. 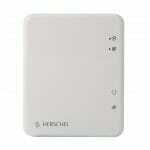 If this is not practical consider the Herschel iQ T1 Wireless Thermostat. 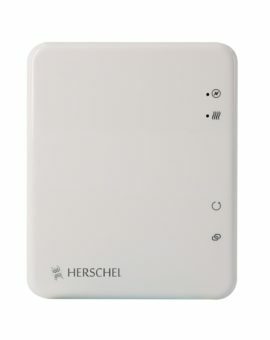 The MD1 thermostat will operate your Herschel heater(s) by turning them on if the room temperature is lower than the desired temperature and turning them off once the desired temperature is reached. 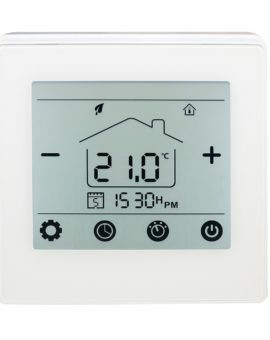 The MD1 is easy to operate, featuring a large digital touchscreen display and incorporates the latest EcoDesign energy-saving features including Herschel’s open window technology. 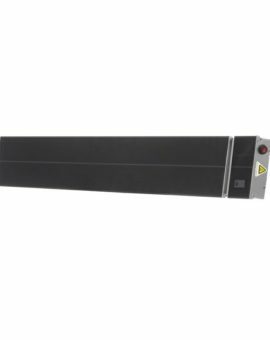 MD1 has a keypad locking feature to prevent unauthorised tampering making it suitable for commercial applications such as hotels, care homes, student accommodation and let properties. 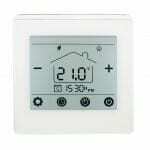 The MD1 is a 16 amp thermostat enabling up to 3.6 kW of Herschel heaters to be connected. 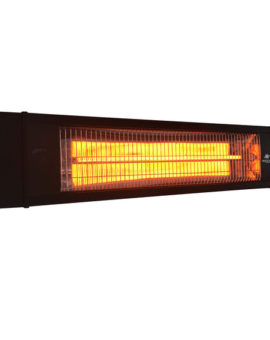 Herschel Infrared heaters together with the iQ MD1 are fully compliant with EC Directive 2009/125/EC for Ecodesign of local space heaters. Note: Herschel iQ controls will only work with Herschel heaters. *Attempted use with any other heater brand will invalidate the warranty. Click here to download the Installation and setup instructions. The Aspect range of infrared heaters are perfect for commercial premises. They heat powerfully, but also safely, since they have a protective grill to help prevent hands ever coming into contact with hot ceramic elements. 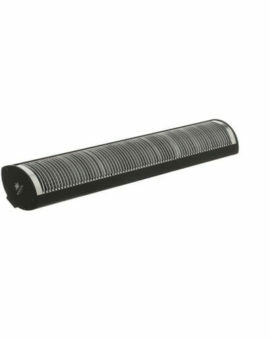 Element: Black ceramic longwave infrared emitters. We recommend installing on a wall with 60 degree tilt, approximately 2.3 to 2.5m above the ground. 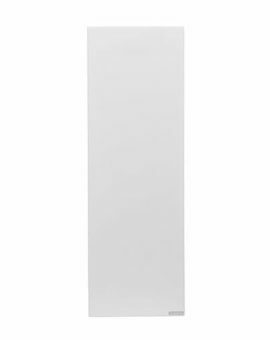 Ensure the heaters are not too close to adjacent walls and that they are to be at least 0.3 metres from the ceiling. Click here to download: Aspect XL Data Sheet. Click here to download: Aspect XL Installation Manual. SKU: N/A Tag: Herschel Aspect. 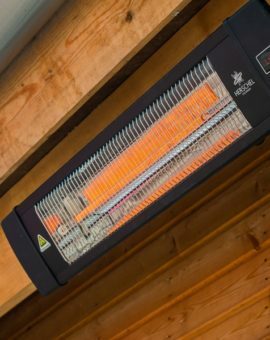 Fantastic infrared heater that we use to heat our barn. 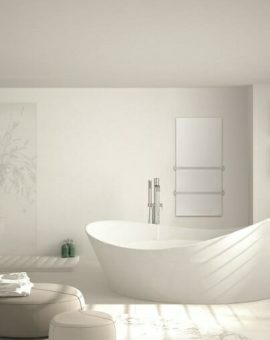 They produce a nice constant source of heat and are very sleak compared to the big electric radiators. Installed 6 of these units in our car workshop and they work fantastically well. 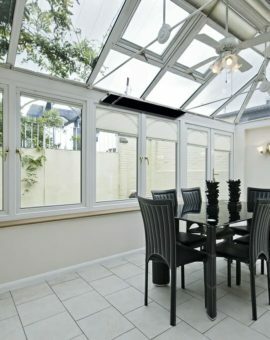 We had a huge amount of choice, but having done our research and spoken to the boys at infrared4homes we went with these and are not disappointed. Great service! 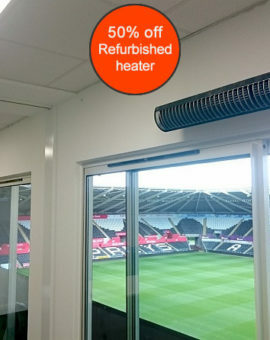 Thanks Karlvcars, I am glad we could help and the infrared heaters are up and doing the job! 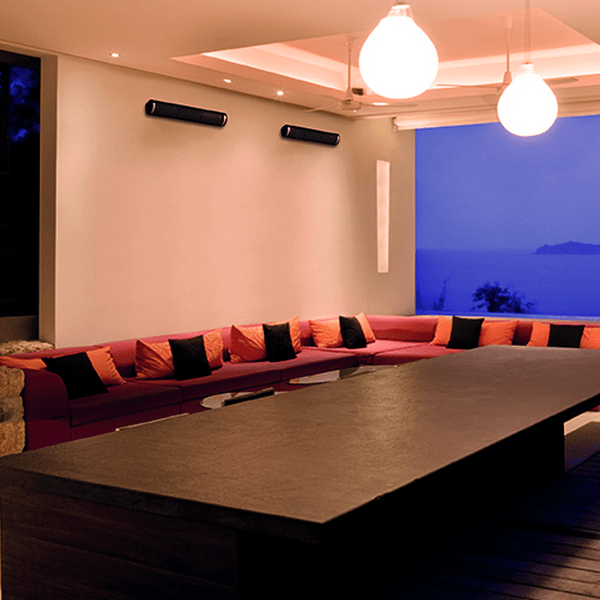 Fantastic outdoor heaters. Quick delivery. Recommended.